This actually was uploaded a couple days ago, but I just got a video posted now. 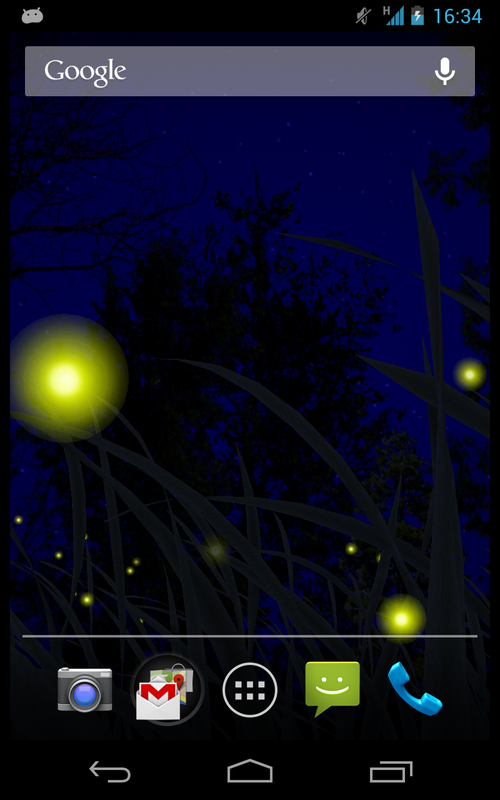 Fireflies is a simple, serene backgroud featuring blades of grass blowing in the wind, and a collection of glowing fireflies swooping around amongst it. You can select from a few different forest backdrops, adjust the wind speed, and control the colors you get at different times of day. This one's not laden with a ton of complex settings, but ultimately I really like the concept, and think it makes a very good background. Hopefully other folks agree! This is primarily a maintenance release, but also coincides with a free version of Fireworks being made available! Check it out here! After a lot of on and off tinkering, we've finally got fireworks! Several different kinds, in fact, and you can pick which ones you prefer to have available. 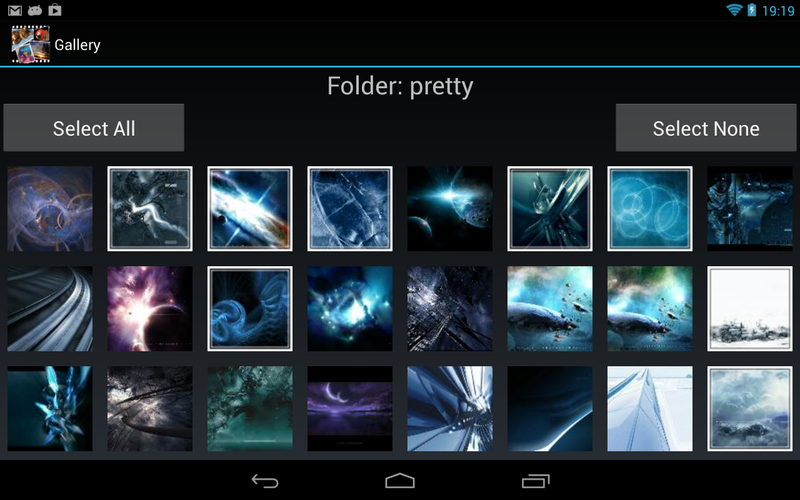 In addition, select from a collection of appropriate backgrounds or select your own custom image. Fireworks also allows you go vary the intensity in a few different ways. You can turn up how often a firework is launched, or increase the odds you'll get a burst of a whole bunch of them like a proper fireworks show would do! 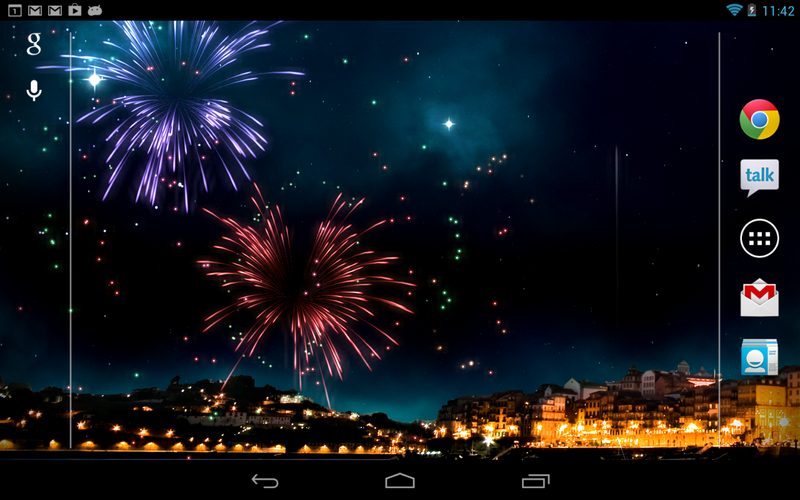 You can also set off a firework in response to touching the screen, or enable a halo effect around them as they burst! 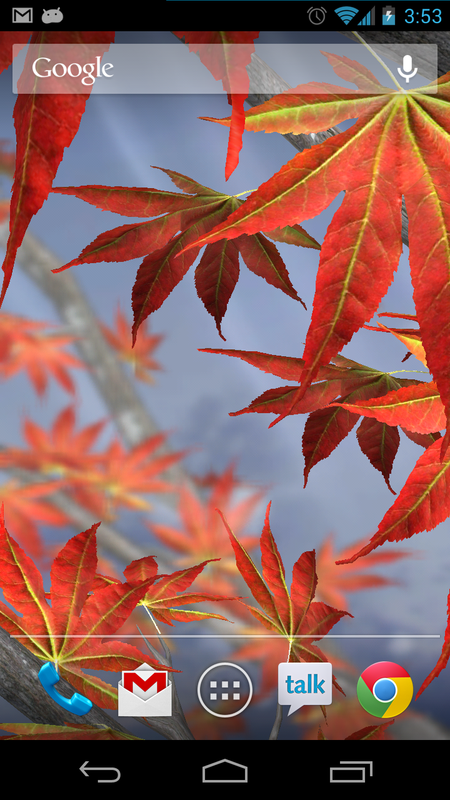 - New Feature: Japanese Maple tree! The main thing for this update is a new tree species, with the extremely pointy leaves of the Japanese Maple being added to the list. Check out the pic! In addition, we've updated the shader that handles the background to use a better blur function, it's a proper Gaussian blur now and does two additional samples, but should run at about the same speed due to some other optimizations. This should largely fix the problem of visible cross-hatching on high-res devices. This also fixes a small gap that was visible on the far left/right of the background on some devices. Not a huge problem but it shouldn't have any artifacts now. EDIT: Fixed a crash issue about 12 hours after this was posted, sorry about that folks!